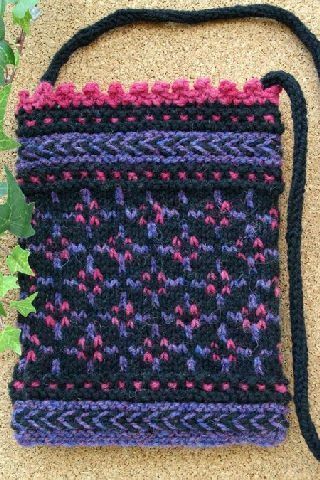 There are many different ways to create your own hand knit (or crocheted) bag or purse. 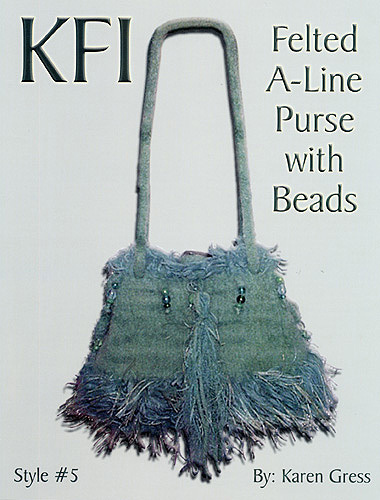 From a simple knit, beaded, decorated or felted for additional strength. 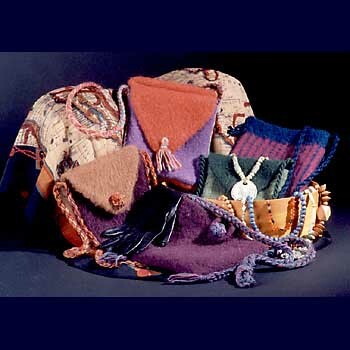 When making a felted bag or purse the amount of felting can be adjusted to vary the finished size and feel. 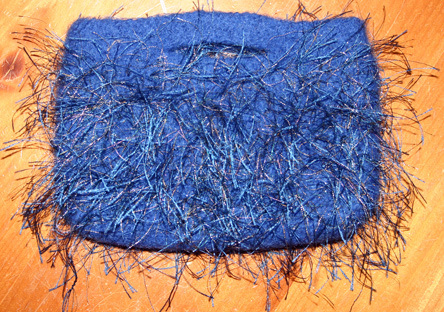 Mixing in non-felting yarns with a feltable wool, allows the use of synthetics to give an added splash of excitement! The perfect evening bag with its elegant allover pattern and pretty crochet trim makes it the ideal accessory. 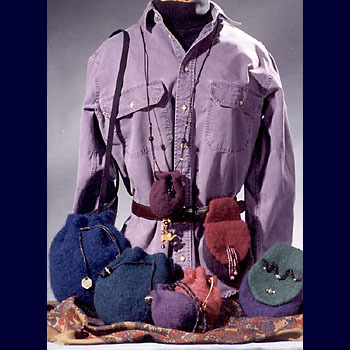 Felt pouches and Belt Bag designed by Bev Galeskas. 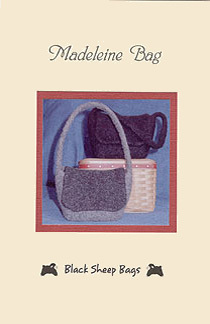 Bag measures 6 by 7 inches. 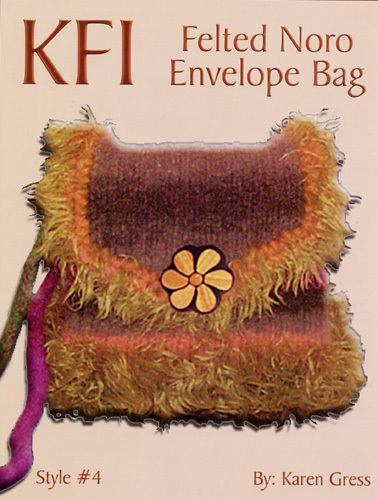 Instructions are given for three pouch sizes. 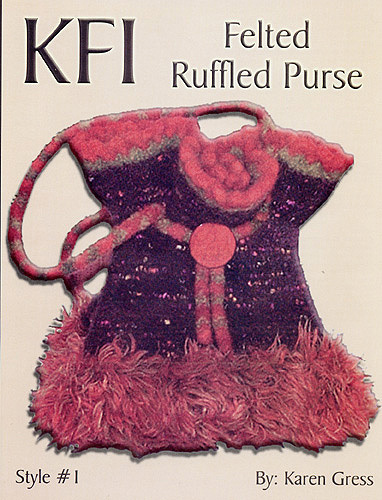 Felted Purse and Shoulder Bag designed by Bev Galeskas. 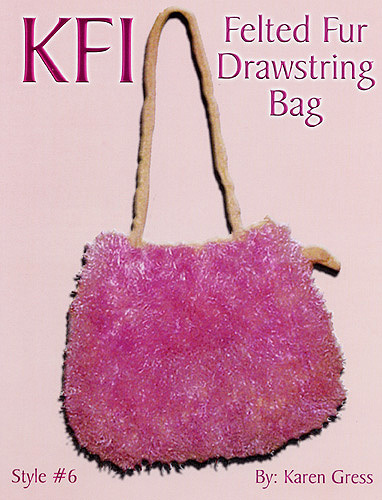 Four quick and easy bags to knit and felt. 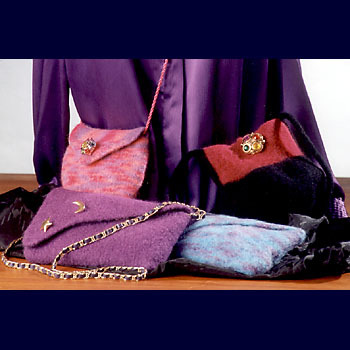 Felt Purse and Shoulder Bag Collection II. 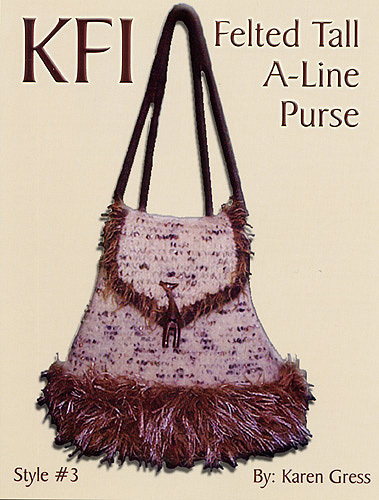 More purse ideas. 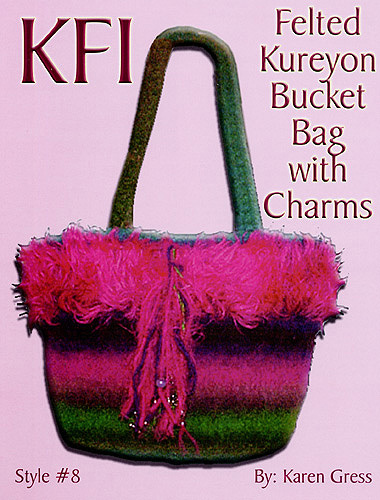 What could be better than a woolly sheep or even a whole flock of sheep to decorate a great knitting bag? 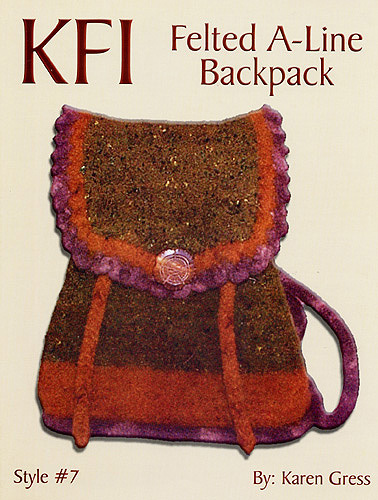 Designed by Bev Galeskas choose from small or large and add as many pockets as you need! 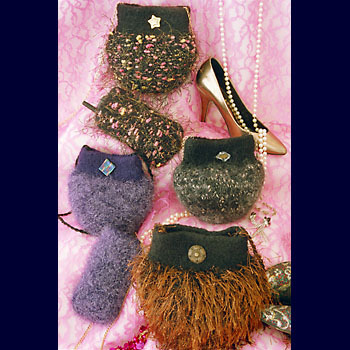 Fancy little evening bags and cell phone/eyeglass holder. 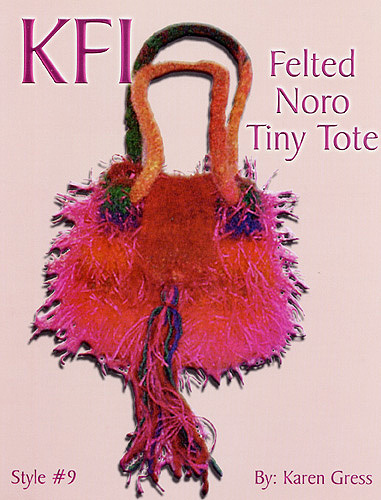 Novelty yarns are felted in with the wool.